The Fall General Election is coming up on Tuesday, November 8th! Voting will take place at The Prairie School - Johnson Athletic Center between 7 a.m. and 8 p.m. Electors will need to show a valid Photo ID to obtain a ballot. To view a sample ballot for the election, click here. Voter Registration. If you are a first-time Wisconsin voter or if you changed your name or address since you last voted, you will need to register to vote. Also, if you have not voted in over four years your voter record may be inactive and you may need to re-register to vote. To check your registration status, go to myvote.wi.gov and search for your voter record or call the Village Office and we can look it up for you. You can also initiate a voter registration on that website, but note you will still need to print, sign and submit the form with a proof of residence document. Hard copies of the registration form are available at the Village Office and at the polling place on Election Day. Absentee Voting. Electors can vote before Election Day, either in-person or by mail. 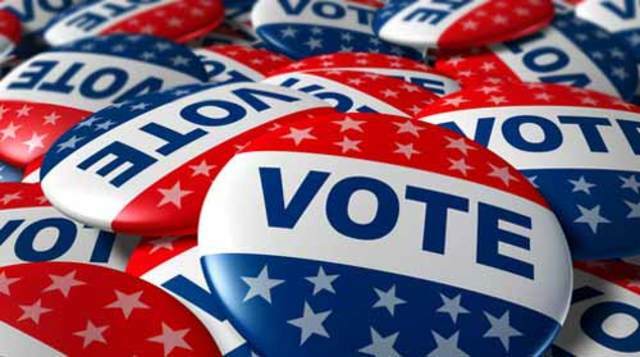 In-person absentee voting is currently available at the Village Office (215 E. Four Mile Rd.) during normal business hours (Monday-Friday, 8:30-5) up until November 4. To request an absentee ballot by mail, please submit an absentee ballot request application and copy of a valid Photo ID to the Village Office. The application can be obtained at myvote.wi.gov, the Village website, by picking one up at the office or we can mail an application to you. For any questions on voting, please contact the Village Office at 262-639-3524 or e-mail administrator@windpointwi.us. 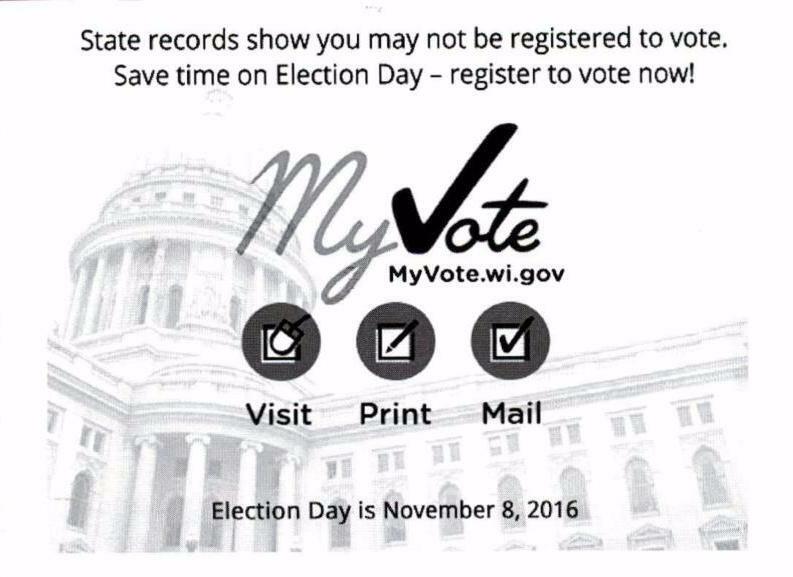 Some residents may have received a postcard from the Wisconsin Elections Commission (pictured right) stating they may not be registered to vote. However, we have learned that some recipients of the postcards may in fact be registered voters. You can check your registration status at myvote.wi.gov or by calling the Village Office at 639-3524. If your voter registration is active, no action is needed! Last Chance of the Year for Lighthouse Tours! The last Open Tower Day of the year will take place Sunday, October 2 at the Wind Point Lighthouse. It is your last chance in 2016 to hear about the interesting history of the lighthouse and to take in the spectacular views! Tours take place every half hour between 9 a.m. and 3 p.m. The tours taking place at the top of the hour are nearly sold out but walk-ups are welcome for tours taking place at the bottom of the hour. Admission for tours are $10 for ages 12 & over and $5 for ages 6-12. For safety reasons, children under 6 are not permitted. Cash and credit/debit cards are accepted. 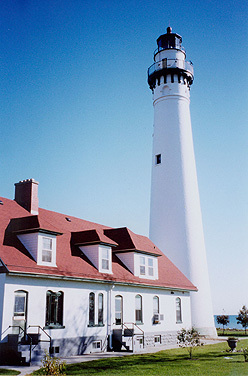 Unique lighthouse and Racine-themed gifts are available for sale in the fog horn building on tower tour days. All proceeds from tower tour admissions and a percentage of gift sales go toward lighthouse maintenance costs! Trick-or-treating n Wind Point will take place on Sunday, October 30 from 4 to 7 p.m. (same time as Racine). Motorists please be extra cautious on the roads at these times. Have a safe and Happy Halloween! The village-wide revaluation project is nearing completion! In mid-September, property owners should have received a Notice of Assessment from Associated Appraisal with information about their 2016 property assessment. Property owners were invited to meet with staff from Associated Appraisal to discuss their assessment at Open Book on September 26. Property owners who wish to appeal their assessment may do so by filing an objection form with the Village Clerk and appearing before the Board of Review for a hearing on October 12 at 5:30 p.m. If you are considering appealing your assessment or if you just have questions about your assessment and you did not attend Open Book, you can still contact Associated Appraisal to discuss your assessment by phone at 1-800-721-4157. It is recommended that you speak to an assessor before appealing your assessment, as the assessor may be able to address your questions or concerns. The purpose of the revaluation was to re-establish assessment values for each property and to ensure they are assessed at 100% market value in a uniform and equitable fashion. It was the first full revaluation of its kind in Wind Point since 1981. As mentioned in the September E-News, the Village of Wind Point has adopted a Landlord Registration ordinance, requiring owners of rental properties to register their contact information with the Village every two years (or within 15 days of a change in contact information). Information is also requested for a primary contact person, if there is one different than the owner. 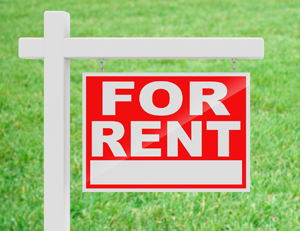 For the purposes of this program, a rental is considered any property where funds are paid by a resident for the right to reside at their property. Owners of rental properties can complete their registration now using the online form. There is also a hard copy form that can be downloaded or obtained at the Village Office. A separate form must be filed for each property. There is no registration fee for all registrations received by January 1. Beginning January 1, the registration fee is $10.00. The purpose of the program is to assist various Village staff and departments in maintaining accurate records of rental premises in the event of a public safety or property issue. Information about tenants will not be collected. On September 8, the Village Board approved a recommendation from the Parks & Facilities Committee to convert the eastern-most tennis court to a single pickleball court. The change would take place with the park improvements being planned for 2017. The Board discussed the purpose of the the change will be to provide more open space in the park and to allow for a variety of activities in the park overall. The Parks & Facilities Committee met again on September 28 to discuss other design details and a timeline for bidding the project. Committee members agreed on constructing the full park project in 2017, except for the dog park area which will be an alternate bid and it could be decided at a later time whether to include it in 2017. The bid package will be presented to the Village Board at the meeting on November 10. The Board will also consider approval of the 2017 budget at the November meeting; the park project is being planned without an increase to property taxes. If approved, the project could go to bid in December and a contractor could be selected in January or February. The Committee also discussed that the Architectural Review Board will need to review the open air shelter structure. 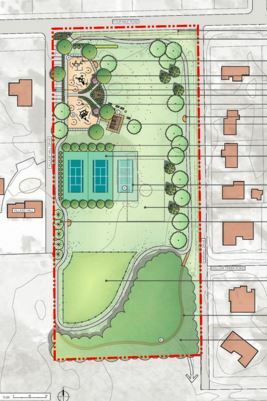 The Village Green Park project is based on a concept plan (pictured above) that was developed with public input in fall of 2015 and adopted in February 2016. For more information on the concept plan, click here. John’s Disposal collects yard waste every Monday, between the months of April and November. 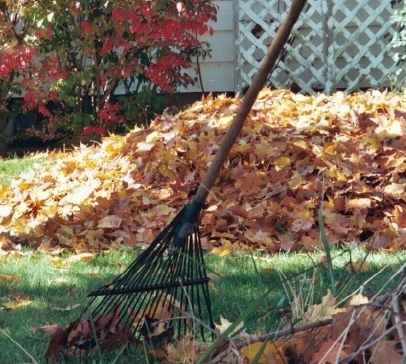 Yard waste includes leaves, grass clippings, yard and garden debris and brush including clean woody vegetative material no greater than 4 inches in diameter; it does not include stumps, roots or shrubs with intact root balls. Yard waste must be set out in biodegradable bags with a yard waste sticker on each bag. Stickers are available for $1.00 each during normal business ours at the Village Office (8:30-5). Monies collected from the stickers are paid directly to Johns Disposal to fund the collection service. Per State law, yard waste is banned from landfills and therefore is prohibited from being mixed in regular garbage or recycling. Yard waste collected by Johns Disposal is disposed of at a compost facility to be reused. Johns Disposal provides data on the amount of materials recycled, including yard waste, and the Village reports this data annually to the DNR in order to receive a recycling grant to help offset costs. In 2015, a total of 110 tons of yard waste was recycled, compared to 66 tons the prior year! Thank you for your cooperation with the yard waste collection program! From time-to-time people bring items to the Village Office that they found in the park or in the road. We currently have a necklace, key, jacket and cell phone that were lost and dropped off at the office. If you have lost something, feel free to contact us and we can check if it has been brought to the office. Also, if you found something, drop it off and we will try to see it gets to its owner! Approved a recommendation from the Parks & Facilities Committee on tennis court configuration for the Village Green Park project. Authorized staff to approve occasional requests from Prairie School to use the tennis courts. Heard an update from Gerad Gage and Mark Brown from Associated Appraisal on the 2016 revaluation project. Approved an amended Village fee schedule (Resolution 16-R07), setting a $10.00 fee for landlord registrations after January 1 and establishing a $50 discount for Village residents purchasing the lighthouse proposal package. Heard an update on the lighthouse roof project. The next regular meeting is scheduled for Thursday, October 13 at 5:30 p.m. at the Village Hall (lighthouse).